For the last few days we’ve been totally busy evaluating and running extended sets of tests for beta versions, as well as release candidates of WordPress 5.0 “Bebo” on our managed WordPress hosting platform. 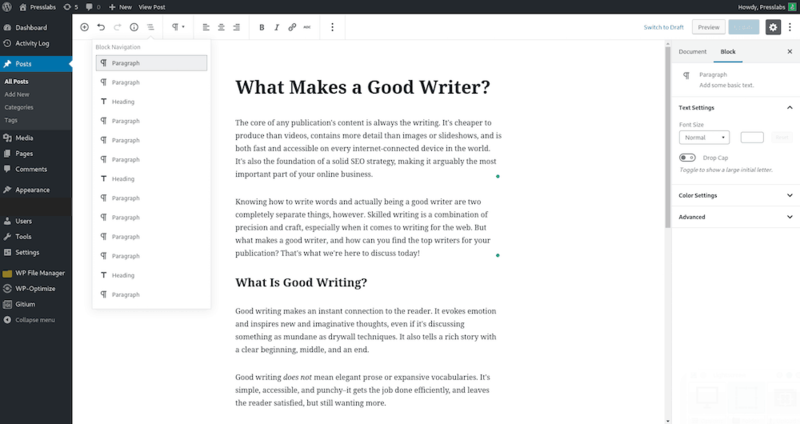 Preferences aside, the community doesn’t seem to be too enthusiastic either; more than a half of those who have tried the Gutenberg editor have rated it with the minimum grade, one star. It’s been only a few days since launch, so we’re looking forward to continuing testing it and making the most of the features it brings. 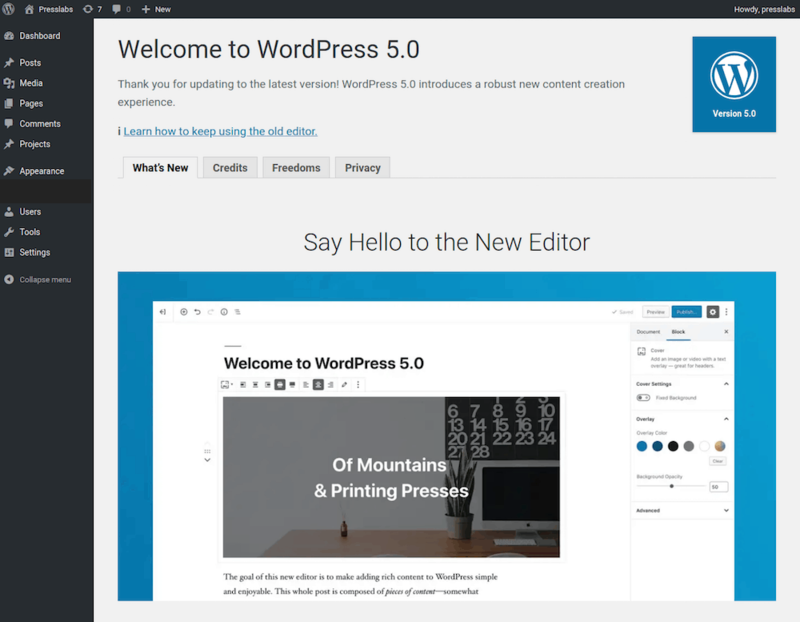 For now we encourage you to install the Gutenberg editor on your development sites only, to internalize the new dashboard experience. Take your time and study it thoroughly, see if “Bebo” is for you. The upgrade process on Presslabs will start sometime in 2019.